The modern workforce is increasingly mobile – both internationally and domestically – with mobility now considered to be a key component of agile working. The IT revolution has irrevocably changed the workplace and where, literally speaking, employees sit in it. Employers must therefore respond strategically and, if done properly, will benefit from increased productivity, lowers rates of absenteeism, lower employee turnover and a more engaged workforce. Of course, firms are legally required to consider flexible working arrangements such as part-time work but rather than see this as a ‘must do’, firms should see this as an opportunity to build their employer brand. Benefits will only be realised, however, if mobile working is governed by a transparent policy and employees have clear parameters within which to operate. Managers must therefore consider a range of issues including hot-desking policy, management style, culture, flexible working agreements, performance management, IT infrastructure, HR policies and operational processes. The business case for ‘agile working’ is compelling. It gives employers the opportunity to use the physical working environment as a base for defining their 2020 workplace culture while allowing for the possibility of substantial savings in office space. The modern workforce is also demanding more flexibility with generations X and Y in particular citing flexibility and work life balance as key components in talent attraction. Agile working, driven by the IT revolution, refers to working arrangements at times and places outside normal working hours. It brings people, processes, connectivity and technology, time and place together to find the most appropriate and effective way of carrying out a particular task. Employees now have the capacity to invest in top-of-the-range home access and mobile working technologies, creating triplicate workstations – one at home, one at work and one on the road. Yet in many cases, we are not joining the dots in terms of what this means for employees. A number of challenges must be overcome if agile working initiatives are to succeed. While the key to success lies in a holistic and integrated approach, employers must be careful that they strike the right balance. Yahoo CEO, Marissa Mayer, created a storm when she banned working from home from 1st June 2013 and ordered remote workers to report to the office. According to Jody Thompson, cofounder of workforce consultants CultureRx, “Mayer has taken a giant leap backward. Instead of keeping great talent, she is going to find herself with a workplace full of people who are good at showing up and putting in time.” Irish firms would do well to learn from Mayer’s blanket ban and imbue an agile working culture that strikes the right balance. To help you foster an agile workforce, follow the steps in the bullet points below. Once in place, productivity, engagement and employee satisfaction will follow. – Analyse current working processes and procedures, and critically assess where and when they are done. – Critically assess the role of IT and imbue IT throughout your agile working initiatives. – Measure performance based on productivity rather than the number of hours worked. – Introduce accountability structures that have little to do with where people are located and everything to do with the projects that need to be delivered in order to deliver pre-determined and agreed results. – Change your organisation’s culture by demonstrating the desired behaviours at senior and middle management level. – Build communication structures that allow for collaborative thinking. – Engage with employees to effectively and successfully implement the programme but remember, agile working is not a ‘one size fits all’ solution so be prepared to be flexible. – Challenge traditional assumptions and departmental silos by thinking about how units interact and communicate. – Conduct an office space audit by assessing the occupancy rates of desks and also, the level of ‘possession’ employees attribute to their space. – Develop an integrated agile working policy document that is suited to your organisation, your jobs, and your culture. – Conduct a pilot programme. You can phase in or pilot the initiatives to gauge organisational readiness and address issues as they arise. – Build in regular review periods to monitor progress. Catherine (pictured) heads up the HR and Management Consulting division at Baker Tilly Ryan Glennon. She also sits on the firms Executive Board with non-exec responsibility for people and management. 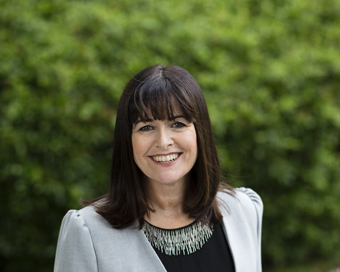 A graduate of UCD and NCI, she has over 20 years’ experience in senior management and HR roles across a variety of sectors – Public Service, Retail and Professional Services. She also holds a first class honours Diploma in Corporate Governance from UCD Smurfit School of Business.